The Obits, yet another indie rock band coming out of New York City, seem to hit all the same areas that their contemporaries exist in. But there is something instantly off about these indie rockers. Whether it’s their abrasive singer’s obvious, lame imitation-punk vocals, the piercing, distasteful guitar or the less-than-acceptable production quality, Moody Standard and Poor just does not come well together. 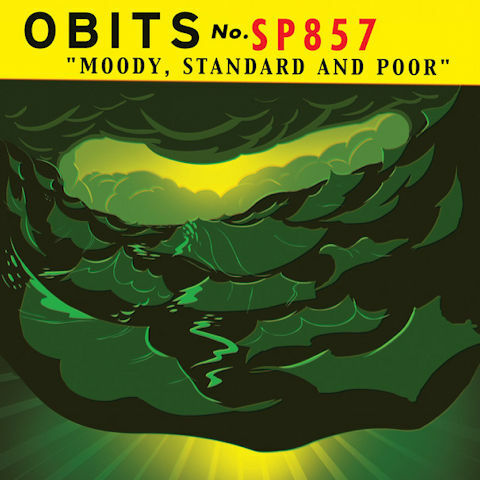 Awfully similar to another album I reviewed this week (see Get Help’s The Good Green Earth), but where Get Help got it on point The Obits seem to foul it all up. Signed to favorite indie label Sub Pop, The Obits are a disappointment from the same record company that brought us the best in the form of Fleet Foxes, The Postal Service, No Age, Wolf Parade, The Shins and more. I hope Sub Pop steps up their game in future record deals. This entry was posted on Wednesday, March 16th, 2011 at 9:22 pm and is filed under Uncategorized. You can feed this entry. You can leave a response, or trackback from your own site. the singer of obits is rick froberg, who has fronted punk bands (drive like jehu, anyone?) dating back 25 years or so. “imitation punk,” huh?